The wooden honour roll commemorates members of the Swanwater West Methodist Church who served in World War One. 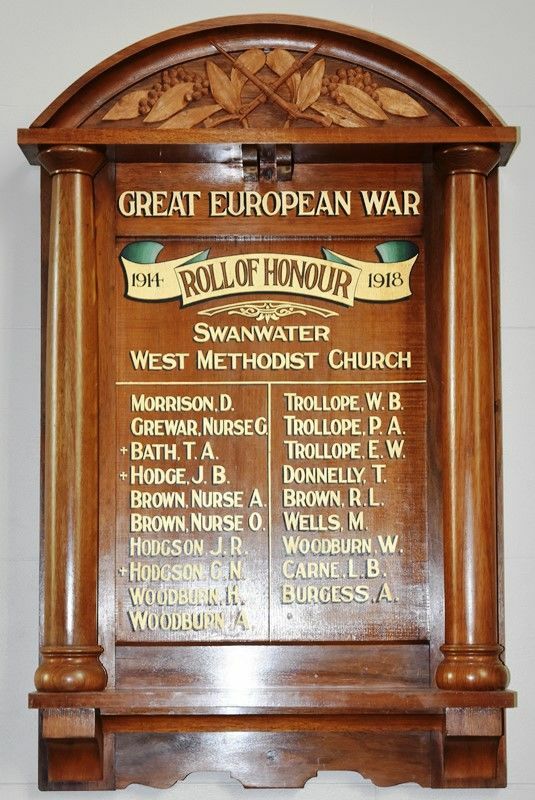 The Swanwater West Methodist Church Honour Roll was unveiled on the 30th June 1918 by the Reverend Ostterrall of Donald. The roll contained twelve names of members of the congregation, including two nurses,who had served in World War One. St Arnaud Mercury, 3rd July 1918.